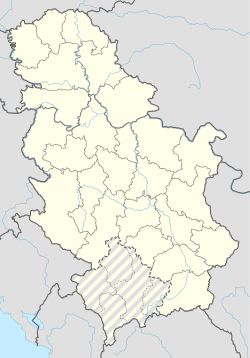 Silbaš (Serbian Cyrillic: Силбаш) is a village located in the Bačka Palanka municipality, in the South Bačka District of Serbia. It is situated in the Autonomous Province of Vojvodina. The population of the village numbering 2,849 people (2002 census), of whom 1,601 are ethnic Serbs and 1,018 are ethnic Slovaks. This South Bačka District, Vojvodina location article is a stub. You can help Wikipedia by expanding it.